Windpark Westermeerwind has reached an important milestone of its construction. Last weekend the wind turbines generated the first durable wind energy. All 48 wind turbines will be installed and connected during the next months, and wind energy should be generated for about 160,000 household by spring 2016. Last June, VBMS (VolkerWessels Boskalis Marine Solutions) completed the installation of 44 kms of electricity cables for the wind farm. 42 connection cables were laid between the wind turbines and 6 export cables were laid to transport the energy from the wind turbines to the onshore transformer station. The generated electricity is transformed to high voltage in the transfromer station and is fed onto TenneT’s national electricity grid. The wind farm is controlled from this station. After the Van Oord/Mammoet cooperation drove the last foundation pile into the bottom of the IJsselmeer at the end of May 2015, main contractor Siemens started positioning the tower sections mid-July. The tower parts are brought to the construction site from the port of Amsterdam, through the IJsselmeer and along the North East Polder, with a special transportation ship. The complete rotors are pre-mounted in Oude Zeug (close to Medemblik) and transported over water to the wind farm shortly before installation. 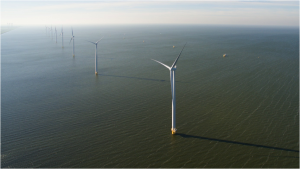 Westermeerwind has contracted out the supervision and management of Windpark Westermeerwind to Ventolines in Emmeloord. Siemens is the main contractor of Windpark Westermeerwind and will provide maintaince service for the wind farm for a period of at least fifteen years. 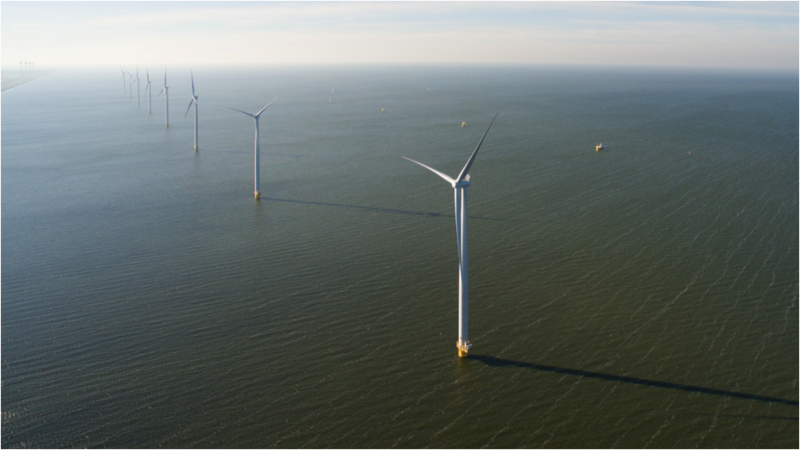 Various Dutch companies cooperate with the project as subcontractors, including Van Oord and Mammoet for the foundations and the installation of wind turbines, and VBMS (VolkerWessels Boskalis Marine Solutions) for the cabling to the transformer station. The electricity is purchased by Eneco.